Designed with feedback from Tour staffer Ernie Els, the XTD Tour is the latest better-player iron from Adams. The iron is around 10 per cent smaller than the standard version, has less offset and offers a more compact, boxier look with a narrower sole. It features the same ‘Cross Cavity’ design as the game-improvement XTD iron, which moves the centre of gravity away from the face similar to a hybrid. The result is extra stability on off-centre hits. It also has the same sole slot to increase the face’s ability to flex at impact. Nickel chrome plating creates a satin finish. Els finished the 2014 PGA Tour season ranked 2nd in the “proximity to the hole” stat between 150-175 yards, averaging 24 feet. The head is 10 per cent smaller than the standard XTD iron and features a satin finish. The same “Cross Cavity” design moves the CG away from the face to increase stability on mishits while a sole slot increases clubface flexibility. Really slick at address. A classy satin finish looks flush while the clean lines, minimal offset and a thin topline creates the perfect look for the better player’s eye similar to a blade. The cross cavity design on the back is a bit of an eyesore – a minor qualm. A really soft, pure feel from the sweetspot, much like that of a forged iron combined with a dull, muted sound. It makes you want to hit another shot. Surprisingly good for an iron that is so compact. Poor strikes seemed to hold their line and lose just a few yards of carry distance. 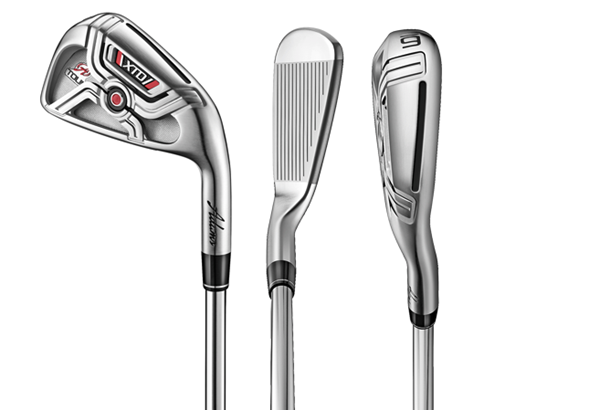 There’s lots to like here – the classy look, soft feel at impact and pretty consistent trajectories through the set. I hit these irons half-a-club longer than my current irons, but the XTD Tours maintain traditional lofts. They weren‘t as workable as I’d have liked, but that really is my only negative; they were a joy to hit. The cross cavity design seemed to enhance the feel from the sweetspot and they have such a clean look at address your confidence over the ball is boosted. The size may not appeal to game improvers, but the feel, stability and forgiveness certainly will. Just hit the xtd tour edition irons today. 5-12-15. They are straight high and long .. the sound is soft and a bit muted w/a nice click. No ballooning just straight. Possible to work the ball fade and draw .. Kbs tour shafts work sweet ... and at $200. I feel I stole them. Very forgiving for the head size. There about 15% smaller and thiner then the xtd blk heads. Final thoughts , great irons great look, and by the way. You don't notice any of the back design at address from either club..